It’s getting hard to keep this straight, but Apple Inc., the company, and AAPL, the stock, are not the same thing. You’d think sophisticated people would know better by now, but you’d clearly be wrong. AAPL, the stock is down from over $700 a share a few months ago to around $400 as I write this. Because the company is so valuable (yes, even still), that change in share price represents a “loss” of $300 billion in shareholder wealth from the peak. It’s a shocking sum, but what’s even more shocking is the nonsensical proclamations it’s bringing with it: “Is Apple Looking For A Replacement For CEO Cook?“, which is a popular post on Forbes today and also “The impossible task of fixing Apple,” a tirade by the once-respected analyst Rob Enderle. Tim Cook is not being fired and an Apple Inc. (NASDAQ:AAPL) turnaround is not impossible. A year is a long time in the life of a technology firm – and so it has proved for Apple. Last April, the iPhone maker’s shares had broken through $600 (£393) and tipsters were predicting they would rise to $1,000. Apple had overtaken Exxon Mobil Corporation (NYSE:XOM) as the world’s most valuable listed company and was still expanding. Time magazine named Apple Inc. (NASDAQ:AAPL)’s chief executive one of its most influential people. “Tim Cook, a soft-spoken, genuinely humble and quietly intense son of an Alabama shipyard worker and a homemaker, hasn’t missed a single beat,” wrote the Apple board member and former vice-president Al Gore in a eulogy to mark the occasion. Following a devastating earthquake that struck in Sichuan, China over the weekend, Apple has donated 50 million RMB or approximately $8 million to affected victims. In addition to the donation, Apple has also updated the front page of its Chinese website to express its condolences and to offer schools in the area new Apple devices. Donations during disasters are not uncommon for Apple, with the company previously offering relief money to victims struck by tragedy on several occasions. 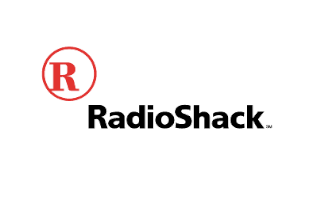 Do you remember the days when RadioShack Corporation (NYSE:RSH) was one of the top retailers in the world? While the company has held on over the years, unlike many competitors, it has also slipped in the mind of many consumers. Maybe Apple Inc. (NASDAQ:AAPL) can help this electronic retailer get back on track. If you visit the page on the RadioShack Corporation (NYSE:RSH) website, you will run into something interesting. The company is now selling Mac accessories for “home, office and on the go.” Although the two companies have been working together for a few years, carrying both the iPhone and the iPad, this is another bump that should help the electronic retailer in a variety of ways. LG Display Co Ltd. (ADR) (NYSE:LPL) reported its smallest profit since it returned to the black in the second quarter of last year, as demand for iPhone and iPad screens from Apple Inc. (NASDAQ:AAPL) weakened amid concerns the U.S. company is losing its luster in the mobile device market. Apple Inc, which analysts say provides about 30 percent of LG Display’s revenue, is facing intensifying competition from Samsung and up-and-coming rivals. A disappointing forecast by a U.S. supplier to Apple last week heightened fears about slowing demand for the iPhone and iPad, pushing shares of Asian suppliers including LG Display Co Ltd. (ADR) (NYSE:LPL) sharply lower.